During its 30 year plus history Paradigm has given music listeners and movie buffs a lot of products to be very happy about. Appealing to audiences both experienced and young, Paradigm has long offered products for all sonic needs and budget sizes. 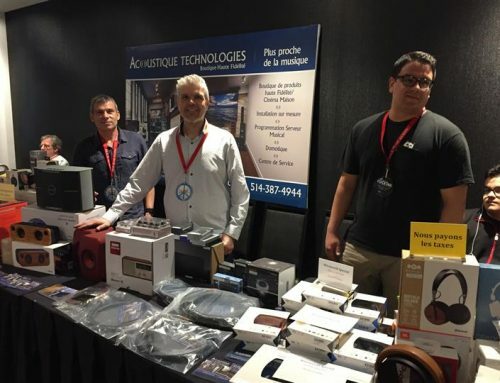 From speakers and subwoofers to soundbars and headphones this company makes it all. And now Paradigm brings us another brand new product range to get excited about – it goes by the name of Prestige Series. This elegantly crafted new series marries some gorgeous new cabinet work, along with new and trickle-down technology originally developed for higher-end Paradigm products. Like the majority of Paradigm products, the Prestige Series is proudly manufactured in the Great White North. This fall, I had the pleasure of touring the Paradigm / Anthem manufacturing facility based in Mississauga, Ontario to witness the making of the Paradigm Prestige Series speakers. This state-of-the-art plant is absolutely enormous, spanning some 230,000 square feet and employing about 150 individuals. But then again that shouldn’t be a surprise from a company that exports its products all over the world. About 70 percent of all Paradigm and Anthem products are manufactured at this facility, the Paradigm Prestige Series being the very latest addition. 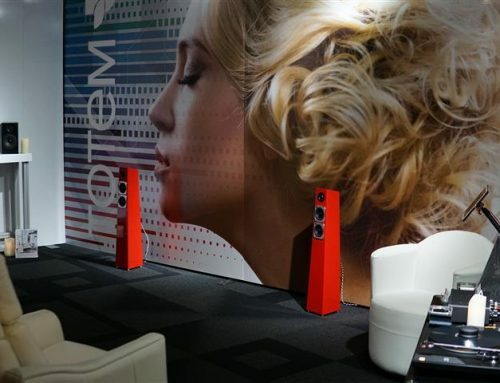 The development of the Prestige Series was a unique undertaking, initiated with a process that Paradigm calls “addressing the voice of the customer” which captured a significant amount of feedback from end users and dealers. The Prestige Series is therefore a range of speakers that was designed based on the values and ideas presented by music listeners and dealers in numerous local and international markets. The Prestige Series was initially envisioned to fit between the company’s Monitor Series and Studio Series speaker ranges but quickly ended up taking a life of its own. The feedback collected by Paradigm indicated that consumers were actually interested in a new speaker series that would sit somewhere above the Studio Series. The research also showed that consumers had a strong preference for this new series be manufactured in Canada. Paradigm sees the Prestige Series as a rebirth of the brand in essence. The company has always offered a really high value performance stance in the marketplace but left a little to be desired in the aesthetic design of its products. Rather than the mechanical, testosterone-driven designs of its traditional speaker series, the Prestige Series offers a gorgeous industrial design with much more refined cosmetics that fits well into the living space but also transcends the listening experience. There is no question that Paradigm is exceedingly proud that the new Prestige Series is crafted in Canada. Developing a new speaker range that offers the same amount of visual value and the same amount of performance, if not better, than competing brands that are made in China was quite difficult but the Paradigm engineering team rose up to the occasion. 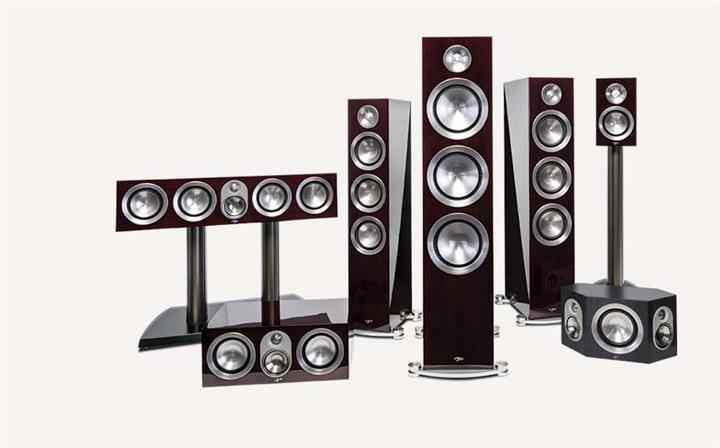 Paradigm estimates that its cost to produce the speakers locally is somewhere between 20 and 30 more than it would be compared to manufacturing in China. Manufacturing the speakers locally however allows Paradigm to achieve the same level of finish and sonic performance that you would expect from some of the best European made loudspeakers. Closely monitored quality control and ability to make instant adjustments to the production process are vital to attaining such a high level of quality – something that simply is not realistic when manufacturing over seas. 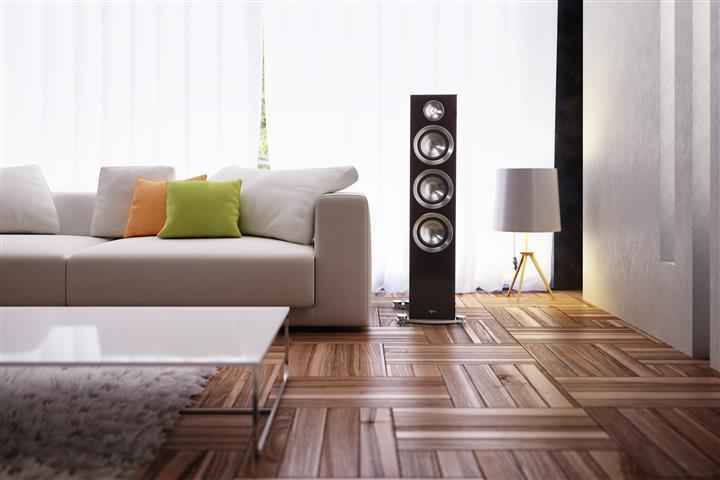 The new Paradigm Prestige Series consists of seven loudspeaker models. 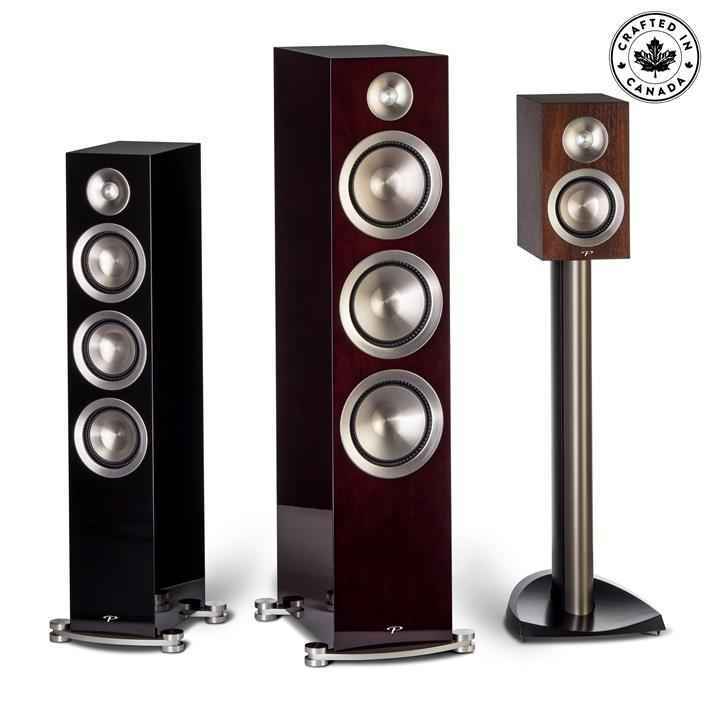 There are three floor standers – the Prestige 95F, the Prestige 85F and the Prestige 75F; the Prestige 15B bookshelf; two centre channels – the Prestige 55C and the Prestige 45C; as well as the Prestige 25S surround channel speaker. Subwoofers will complete this series in early 2015 (scheduled to be shown for the first time at the 2015 CES). Zoltan Balla, Brand Manager for Paradigm & Anthem, discusses the development of the Paradigm Prestige Series in this video (filmed beside the Prestige 85F floorstanding speaker, inside Paradigm’s special blind test listening room). In order to produce the Prestige Series in Canada, Paradigm made a tremendous financial investment in its Mississauga manufacturing facility, specifically in the wood working and paint shops. A brand new wood finishing machine allows for automated sanding of speaker cabinets, achieving a perfectly consistent finish. Rob Armstrong, National Sales Manager, standing proudly beside the new machine explained exactly how it operates during our tour. A speaker cabinet is loaded by hand into the jig on the bottom left, which then moves the cabinet inside the large sanding cage. A robotic arm sands the cabinet with great precision and consistency, while the jig rotates around. The machine returns the sanded cabinet in the bottom right of the image. 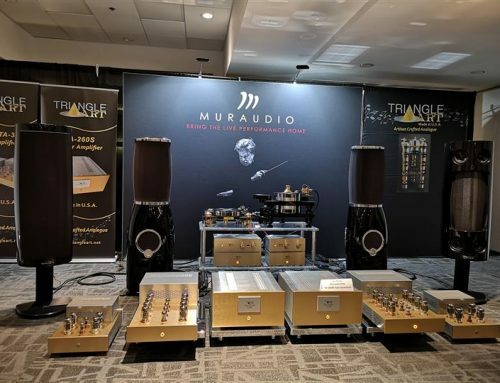 The Prestige Series may be the first speaker range to utilize this machine, but Paradigm already has plans for other products coming down the line to be manufactured here too. To achieve an exemplary finish like the Midnight Cherry offered by the Prestige Series (or Paradigm’s 30th Anniversary Edition Series speakers), spraying, sanding and buffing has to be performed up to 7 times. This state-of-the-art robotic sanding machine plays a great role in simplifying this process. 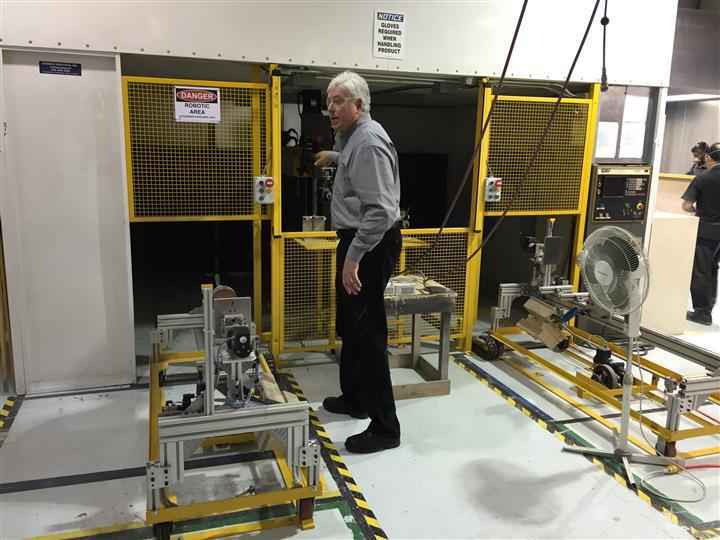 Another recent investment in the manufacturing facility was a new paint booth which allows Paradigm to achieve automotive paint quality finishing.